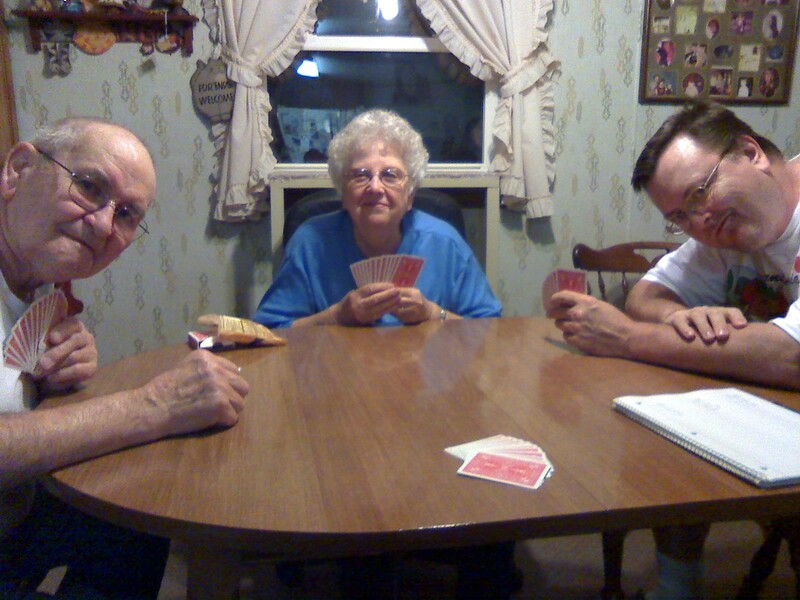 My Father, Mother, and brother Dan in 2008. Like birch beer and pink lozenges. Able to fell large trees and rock small babies. Have super-size heart and tiny ego. Can tackle all homework and home repair. Quick to laugh and joke. Watch Jeopardy and O'Reilly (if you must). Able to stop a sibling brawl with one growl. Enjoy primitive camping in Potter County. Concoct candy from powdered sugar, peanut butter, cocoa, and milk. Give all your love; ask for nothing. Reliable as an oak tree. Apply at the house on Old Stage Road.